Ramlal Choudhary's 'Geet Gaya Patharonne' from 1964 was one of last year's most pleasing discoveries, subsequently featured in the book '100 Bollywood Soundtracks Every Music Ought To Hear'. His previous score 'Sehra' is almost as good. I'm not sure if it's his use of the steel guitar (or is it an Indian equivalent?) that gives songs like 'Taqdir Ka Fasana' and 'Hum Hain Nashe Men Tum Ho Nashe Men' a curious country & western tinge; regardless they are both superb. (On Mohd. Rafi's version of 'Taqdir Ka Fasana' the steel guitar is replaced by a snake charmer's pungi.) 'Ja Ja Jare Tujhe Hum Jan Gaye' and 'Tum To Pyar Ho' are perhaps more conventional, yet still great. And best of all, Lata Mangeshkar's 'Punkh Hote To Ud Aati', featuring both weird and wonderful instrumental details, is a song of hypnotic beauty. There's not a lot of information on Ramlal to be found on the Internet. I think he worked in the industry as a flute player; could it be these were the only two films he scored himself? 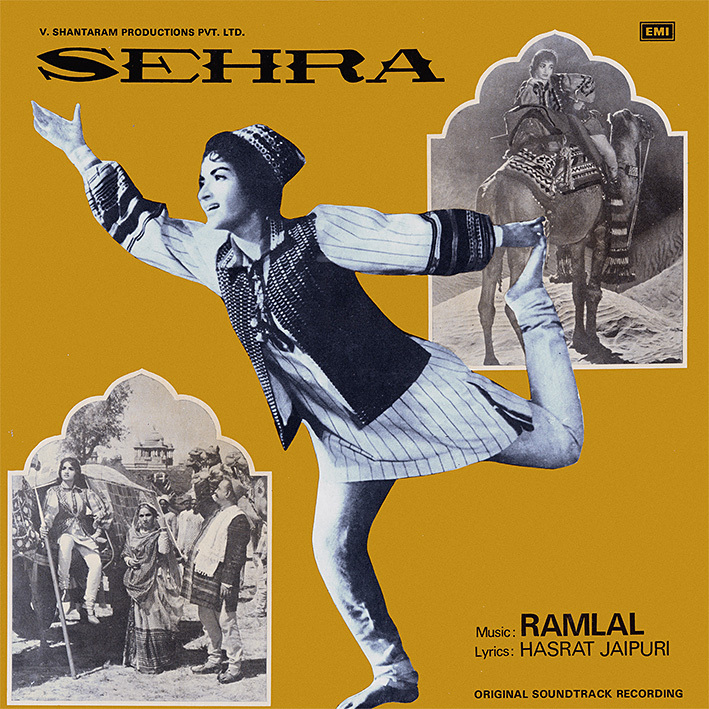 Ramlal was a flute and shehnai player, and played in many Hindi film songs before becoming an independent composer. He used to call himself Ramlal Heerapanna and scored a few films under that name - Husn Bano (1956), Naqabposh (1956), Naag Lok (1957), Maya Machhendra (1960), Raj Mahal (1963). Laxmikant Pyarelal assisted him in Maya Machhendra. Geet Gaya Pattharon Ne and Sehra are his most famous soundtracks and he scored these as "Ramlal". Many thanks for that. I had no idea he'd previously composed under a different name. Fab stuff PC.. cant thank you enough. God bless! Happy to hear that, thanks. Well done on winning the book on Jonny's show; what was your winning pun? Brilliant :) I reckon it's simultaneously very sad and just the sort of thing that makes life that tiny bit more fun. Hi PC, Haven't been here for a while, so pleased to see you're still up to it and even better than ever. Great stuff. passed away in 2007 in Mumbai. A simple and noble soul, he gave an elaborate interview to Vividh Bharati (Akashvani) which is well circulated now and gives many details about the unsung musician. He was the one who played flute in Raj Kapoor's "Aag" songs like 'Zinda Hoon is tarah Zindagi nahin.' The beautiful Shahnai preludes and interludes in ''''deer ka fasana' (Sehra) and 'Aa laut ke aaja mere meet' (Rani Roopmati) were Ali his handiwork. Such was his talent. My tributes to the gentle soul.